Metadata management, analysis, and system monitoring are critical to maintaining the reliability, accuracy, and governance of your SAP BI deployment, as well as the confidence of your information consumers. Critically, Insight monitors your SAP BI services from outside, ensuring that monitoring is not compromised by problems within the BI system itself. Gain a full understanding of report usage, reduce the number of reports you need to support, and reduce the resource time required to maintain reports through automated report catalog and report documentation generation. Audit your security structure to meet corporate governance standards and protect sensitive information. Gain granular visibility into the activity of users with real time web application server monitoring and historical activity auditing. Analyze system usage to discover the number of connections during peak usage, who the most active users are, patterns of usage over time, and how usage is evolving. Analyze system usage for more timely task execution and use external functional system monitoring and analysis of audit information for anomalies to improve response time and comply with service level agreements. Analyze detailed audit information to support change management controls and documentation. Use impact analysis to improve system governance, achieve financial report / internal control compliance, and accelerate EHR upgrades. Automate report cataloging, documentation generation, and system utilization analysis for migration planning and streamlining your migration. Use metadata analysis to better manage system resources, audit report usage by entity and manage chargebacks more effectively. Leverage precise and immediate information and alerts enabling prompt resolutions and improved system stability. 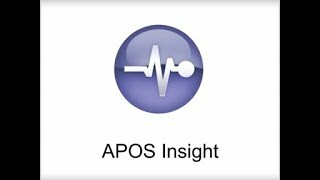 We use [APOS Insight] to help us manage our 1,300+ Crystal reports. This helps us with upgrades and possible build impact analysis. What used to take weeks to accomplish with a manual process now only takes minutes… If you need a meta data tool, this is the one to go with! Report inventories, report catalogs, report documentation. License & session activity, user activity, report & dashboard usage patterns. Reports, universe, business views, Epic upgrades. Report structure changes, universe structure changes, security changes. Processes & services, schedules & instances, performance & functional monitoring. APOS Insight provides enhanced metadata management, system monitoring, and timely alerts to help you meet the business intelligence needs of stakeholders across the organization. Insight's system monitoring provides both statistical and functional analysis of all SAP BI services, issuing threshold-driven alerts, and initiating automated remedial activities. 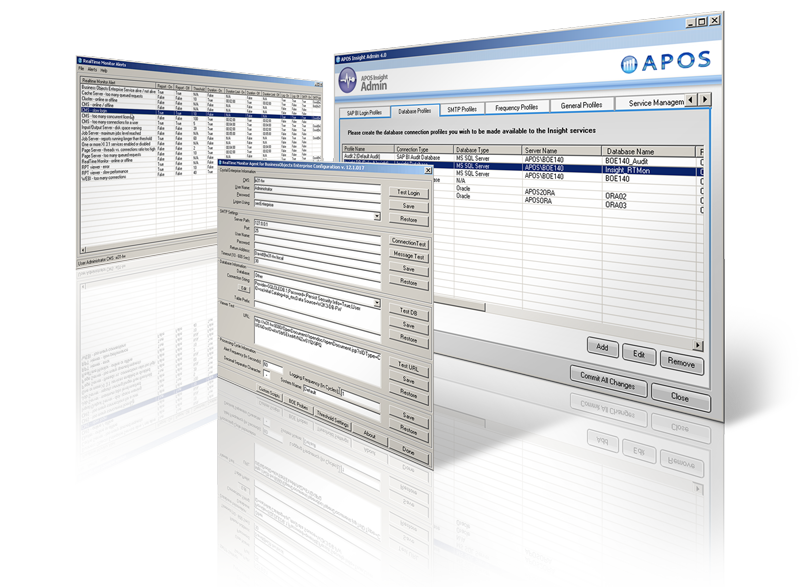 With the growing demand for clinical data, and frequent changes and upgrades, we knew we needed to give our resources the tools to stay on top of our BI workflows… APOS… had all the tools we needed to tackle all of our platform management needs, including the impact analysis necessary to move to ICD-10. It was important to us to deal with a single vendor for all of these tools.